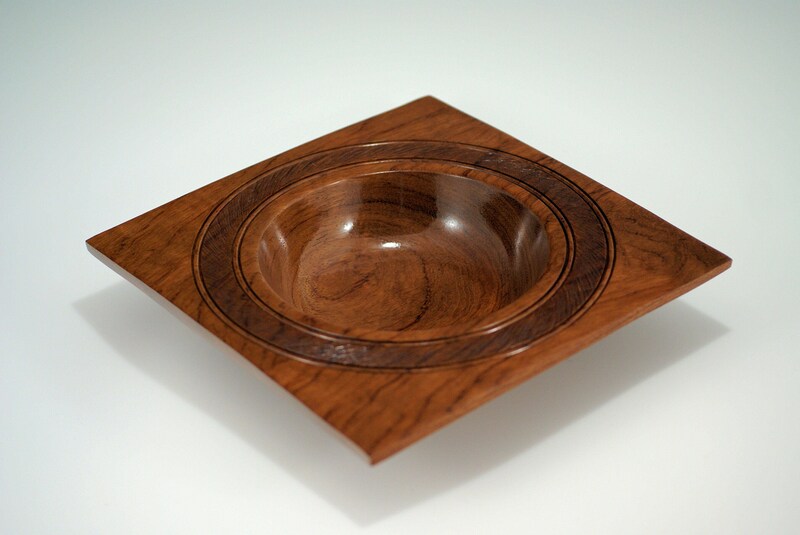 I hand made this One of a Kind Art Bowls as a Center Piece for Your Home Decor from the most elegant piece of Bubinga I have found. I turned this piece of wood on my lathe using hand tools with the idea to maintain the square shape yet achieve a round center and bottom of a bowl. I used a custom texturing tools to add that special element to draw your eye into the center of the piece. It is finished to 1000 grit and has 10 coats of gloss lacquer applied to make it sparkle. The color of the wood is all natural and unique to this wood. 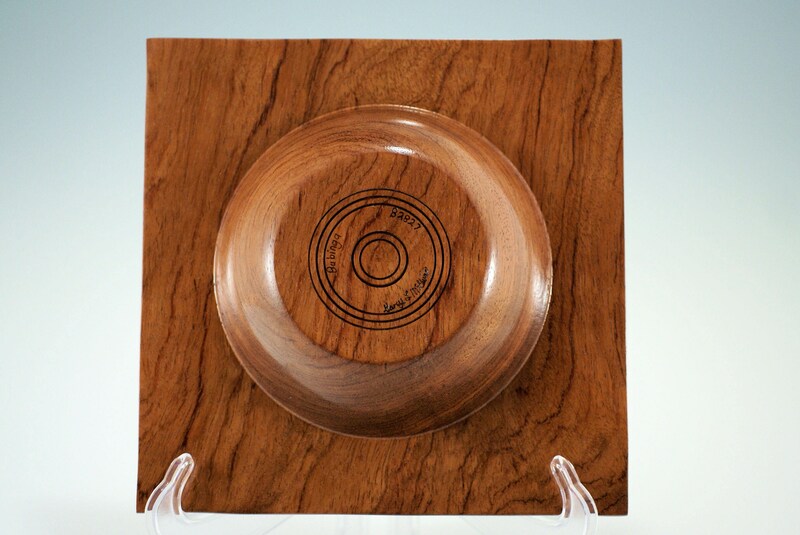 The bowl is 13" in diameter and 2" in height and weighs 1 lb. 2.6 oz. The genus is well known for its luxury timbers. The best-known timber is bubinga (Guibourtia demeusei, aka kevazingo). The wood is often used by luthiers for harps and other instruments, such as bass guitars, because of its mellow and well-rounded sound. Warwick Bass and Ibanez are known to use Bubinga and Ovangkol. It has been used in drum shells as well. Drum companies such as Tama offer various high-end drum kits with plies of Bubinga in the shells. [not in citation given] Crafter also use bubinga on some of their instruments. Bubinga is also used in both acoustic and electric guitars for its figure and hardness. Steinway and Sons offers a piano encased in Kewazinga Bubinga, a large West African timber similar to rosewood. 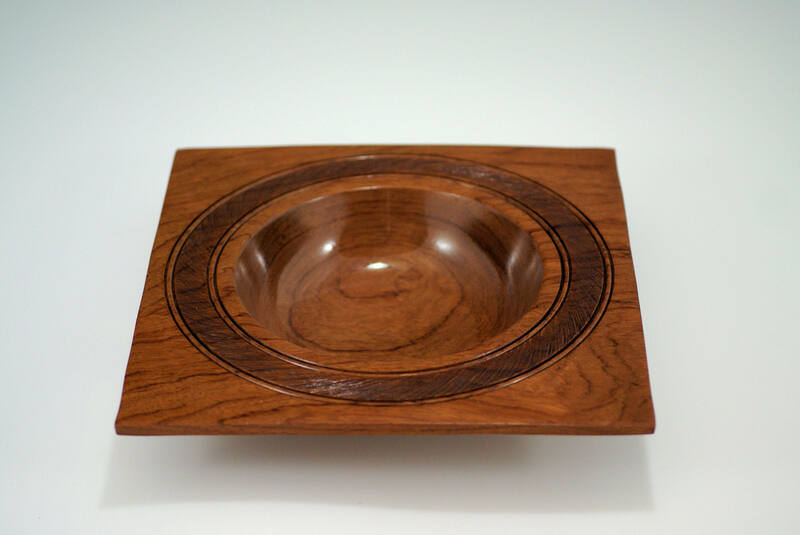 Bubinga is also used in high-end furniture, especially by contemporary Arts and Crafts artists as well on high-end manual woodworking tools such as the front knobs and rear handles of smooth planes. 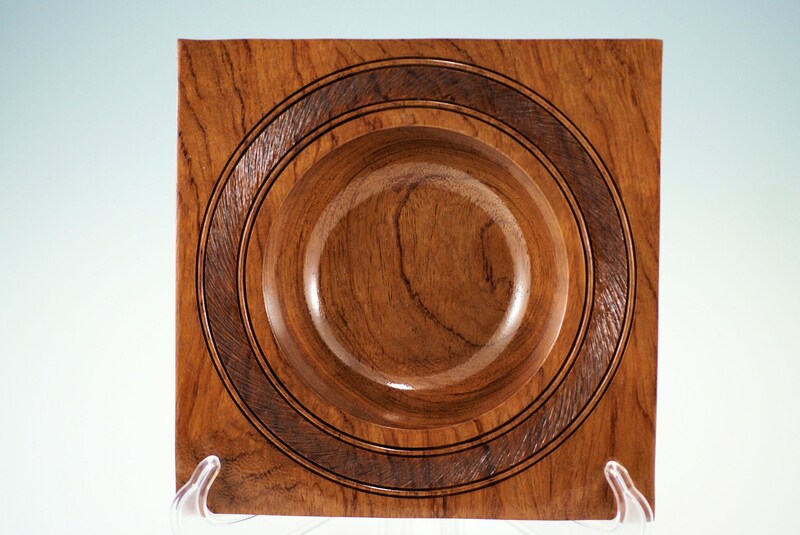 Bubinga comes in various grain patterns, with rare patterns bringing top dollar.